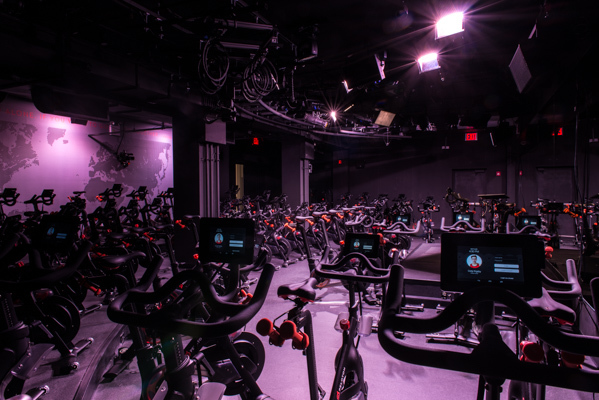 I chose to take Peloton Cycle, which is an incredible studio, located in Chelsea. 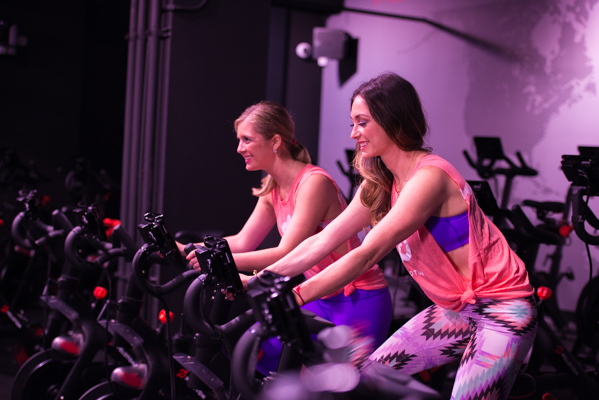 Joined by my lovely friend and ClassPass leader, Cory Grude, I was introduced to the boutique studio and given a tour of the space. 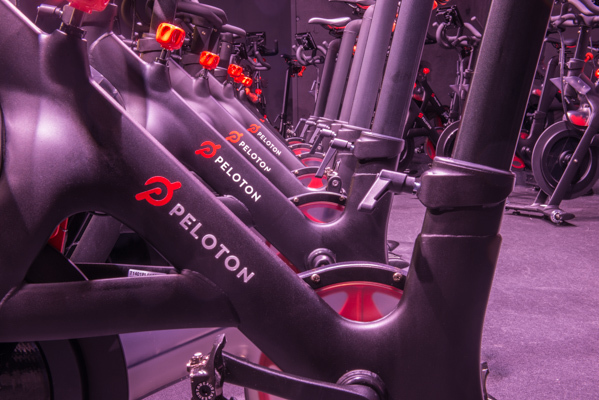 The Peloton coaches educated me on the state of the art bikes, and prepped me for the workout. 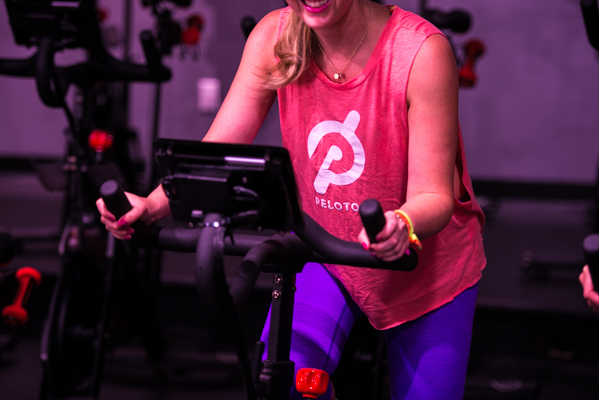 Peloton’s studio is located in NYC, however their one of a kind exercise bikes are available for purchase, and can be used anywhere. 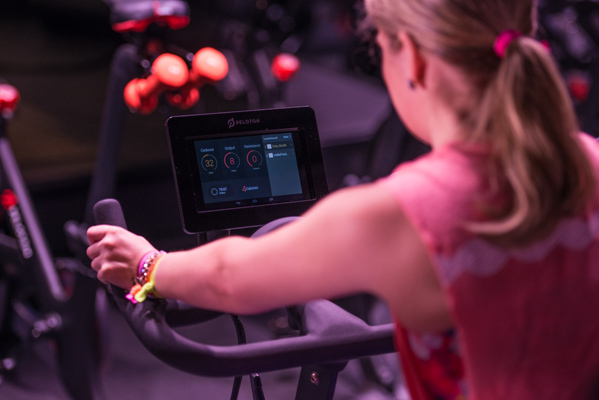 The purchase of the specialized bike, and the on demand subscription, allows you to stream live cycling classes. You can participate from the luxury of your own home. 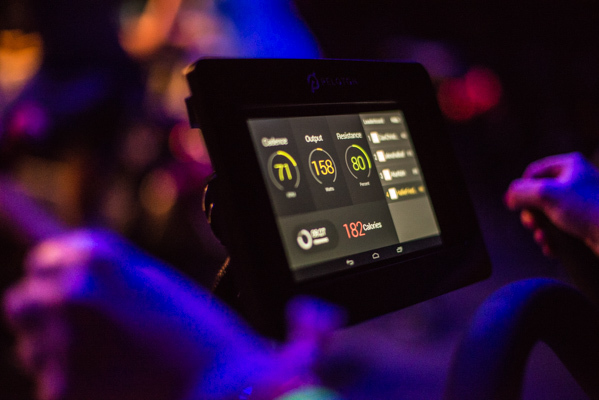 This incredible opportunity takes your workout to a whole different level, and it revolves around your own schedule. If you are interested in the bikes, they are available for purchase online, or at the various locations listed on the website. 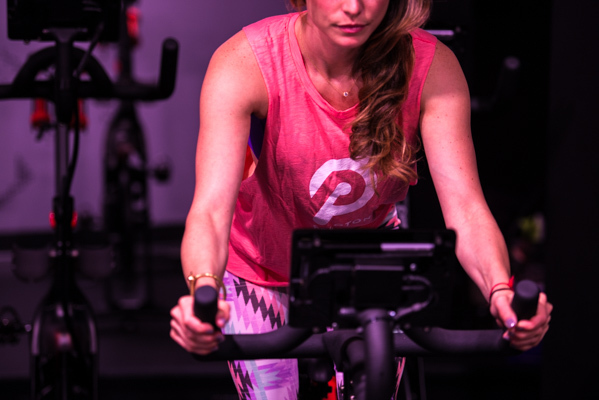 I took the Peloton Power class, which includes a combination of high energy, speed, and strength training. 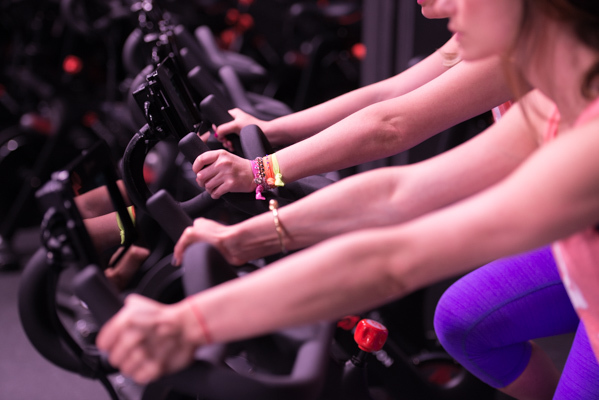 Much of the class is done out of the saddle, and therefore keeps your heart rate high, and your body energized. Weights are also used in the class for strength and toning. While I spend quite a bit of time at the gym, I don’t have a lot of previous cycling experience. I chose cycling, because I felt that it would be a challenge for me. I knew that I would need to depend on the instructor for cues, watch for correct form, and learn the rhythm of the class. The coach of my class, was Cody Rigsby and I absolutely loved him. He was energetic, taught proper form, gave clear and concise cues, and had incredible energy the entire class. 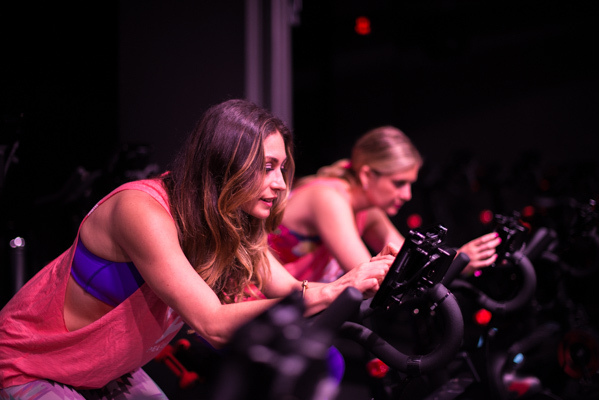 That day, I happened to take two additional classes right before Peloton, so I hoped to make it through this class! The moment the music came on, and the colorful lights flashed around the room, my energy was pumping and I was ready to go. Cody was encouraging, inspiring, and lead us through the workout with strength and determination. I felt both challenged and accomplished by the end of class. 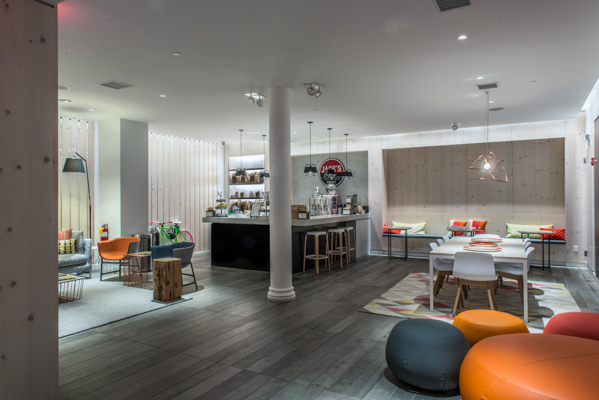 The amenities in the Peloton studio are beautiful, and I felt right at home. 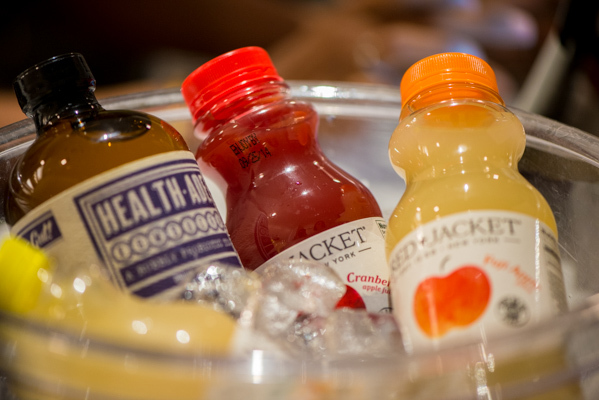 The locker rooms are luxurious, with plenty of products to keep you feeling refreshed and beautified after your workout. 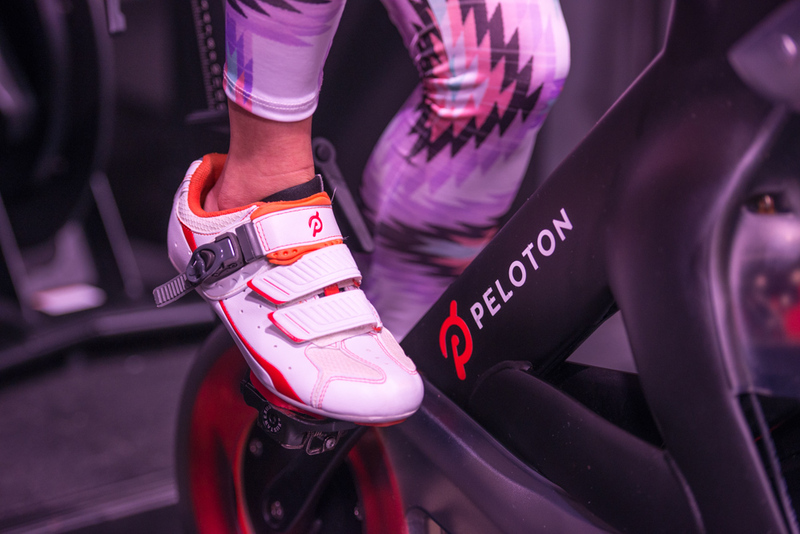 The cycling shoes and water are included, and if you love the shoes, you can purchase them for your next ride. The staff is kind, generous, and very helpful. I styled two activewear looks, from Peloton’s clothing shop, which Cory and I both wore for this shoot. They carry a fabulous variety of printed leggings, sports bras, and colorful tops. 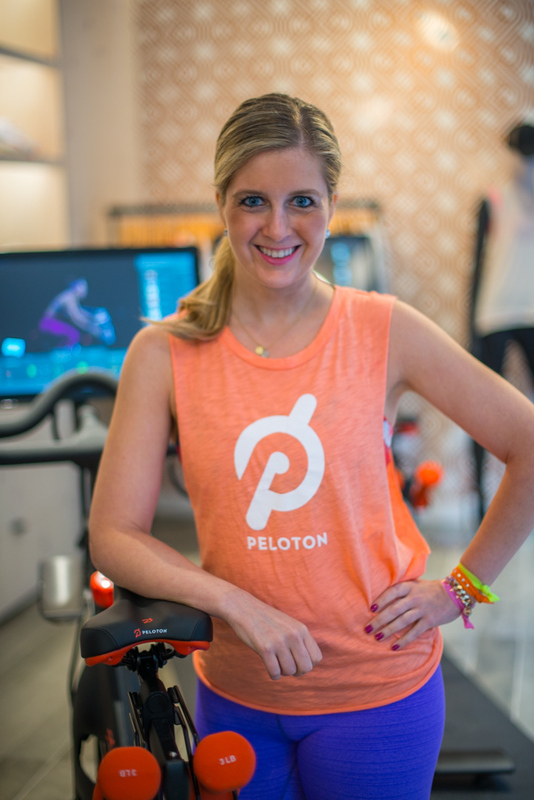 I chose a bright color scheme for our fitness shoot to coordinate with our Peloton tops. Cory is wearing Phat Buddha’s Theatre Legging (Of Mice and Men), Beyond Yoga’s Strappy Back Bra in Violet, and Pelotone’s Cut Out Tank in Coral. I am wearing Beyond Yoga’s Stripe Capri in Violet, Onzie’s Criss Cross Bra in Monet Print, and Peloton’s Cut Out Tank in Coral. 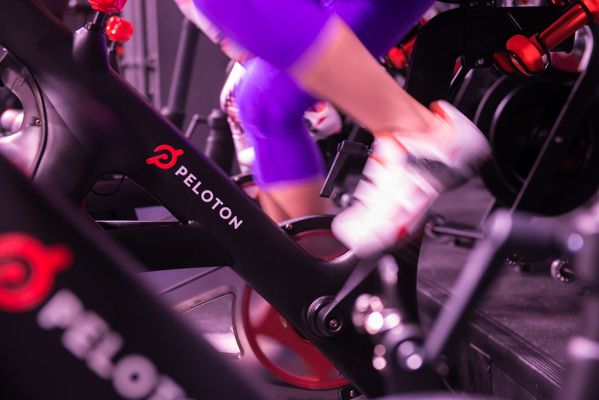 All active wear featured can be purchased in Peloton’s storefront located in NYC. 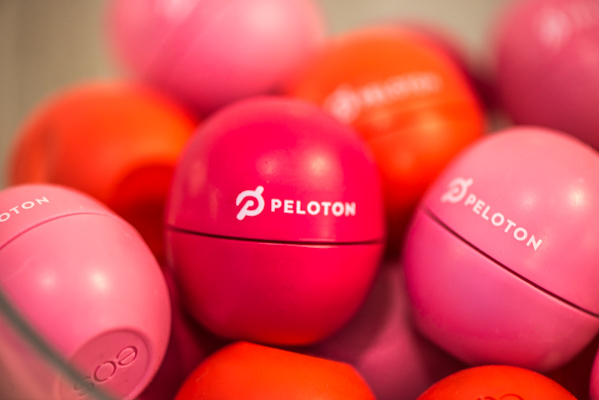 My hair ties are by Knotty, and our cycling shoes are by Peloton. 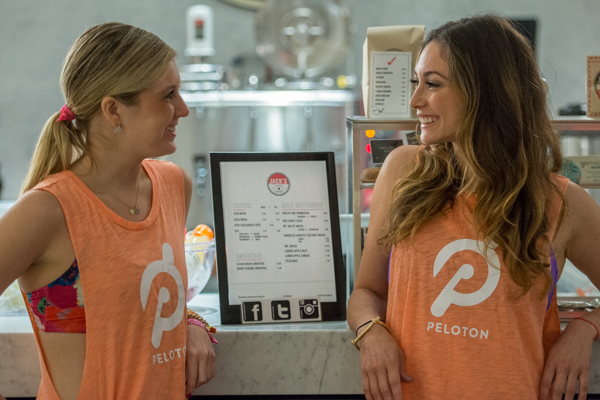 The Lounge is Peloton’s chic coffee and juice bar. 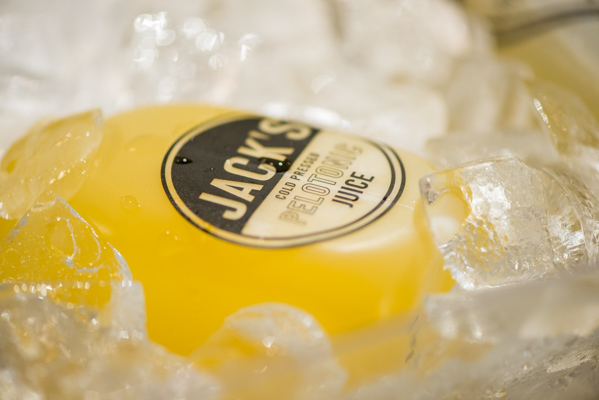 They sell a variety of, signature Pelotonic cold pressed juices, Jack’s Stir Brew coffee, and healthy snacks to fuel up before or after your workout. 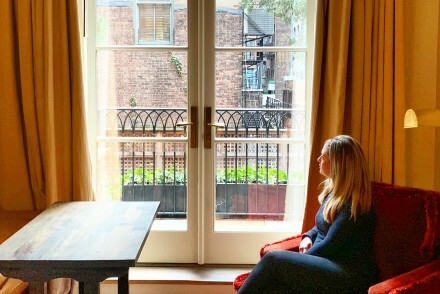 While lounging on fancy couches, Cory and I sipped on green juice, and spent some time chatting about the ClassPass program, as well as our favorite workouts. 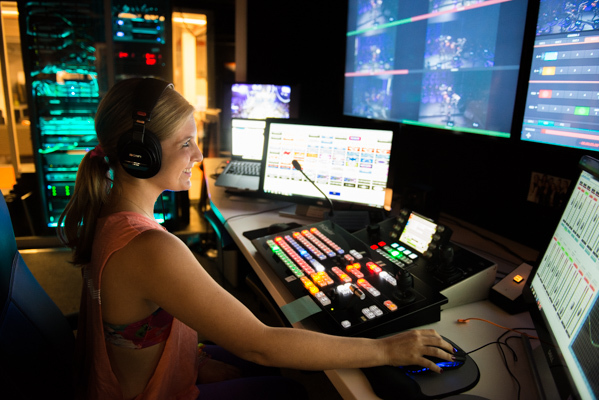 Make sure to check out the rest of the studios which Class Pass promotes. 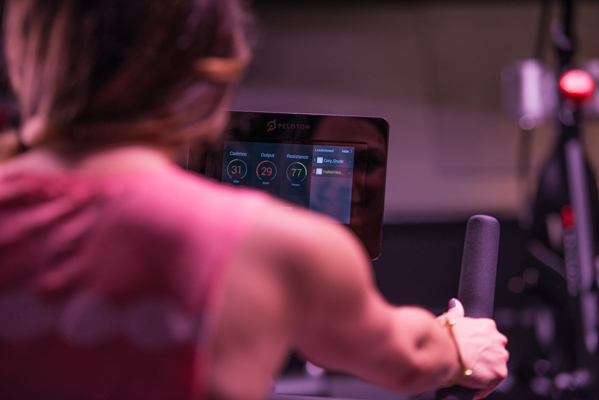 The classes I’m excited to try next are Pure Barre, Barry’s Bootcamp, Exhale’s Core Fusion, and Title Boxing Club. 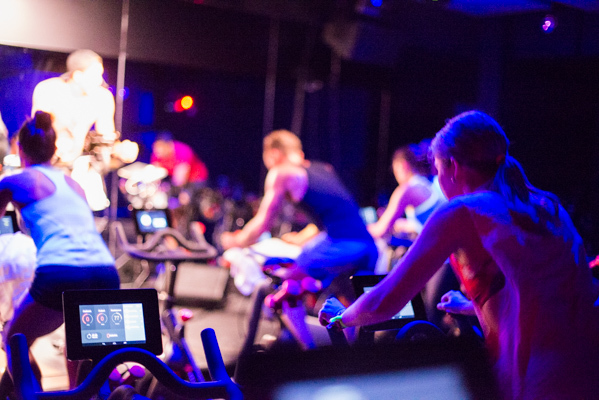 ClassPass is currently running a great promotion. 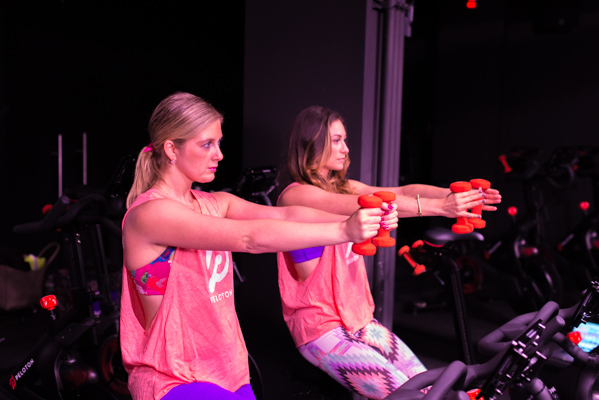 The monthly subscription is $99, for unlimited classes to take in the city. Make sure to take advantage of this incredible fitness offer. We’d love to know about your experience with Class Pass. Check out your favorite classes and give us the full report. Your mind, body, and skinny jeans will thank you!